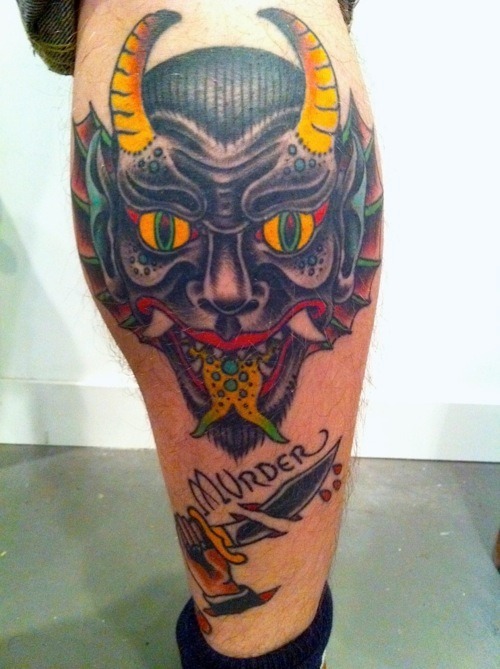 Tattoo Blog » Meet Brian Thurow! 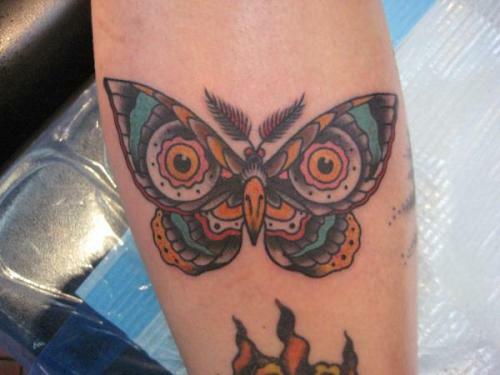 Tattoo Blog » Inspired » Meet Brian Thurow! Sometimes I think that maybe, just maybe, I like classic American/traditional style tattoos a whole lot more than I actually realise. The first style of tattoo that I think about when I think about tattoo isn’t typically classic American, yet every time that I see it done well, I can’t help but seriously admire it. I guess that I can thank an artist like Brian Thurow for making me love classic American more and more each time that I see it. Thurow’s work is practically busting right off the skin. It’s so full of colour and life that I kind of just want to defy anyone not to like it. On top of all that, there’s some really nice, heavy and very clean lines that really bring the image together. Basically what I’m trying to say here is that like any great artist, Thurow makes the results of his work appear effortless even though it so obviously is not an effortless task to tattoo this well. Thurow’s hometown is Little Rock, Arkansas, but he’s in Dallas, Texas now, tattooing at Saints and Sinners Tattoo in Carrollton. Unfortunately, there isn’t a lot of info about either Brian or Saints and Sinners online (get a website, dudes! ), but you can take a look at some of Brian’s work here.